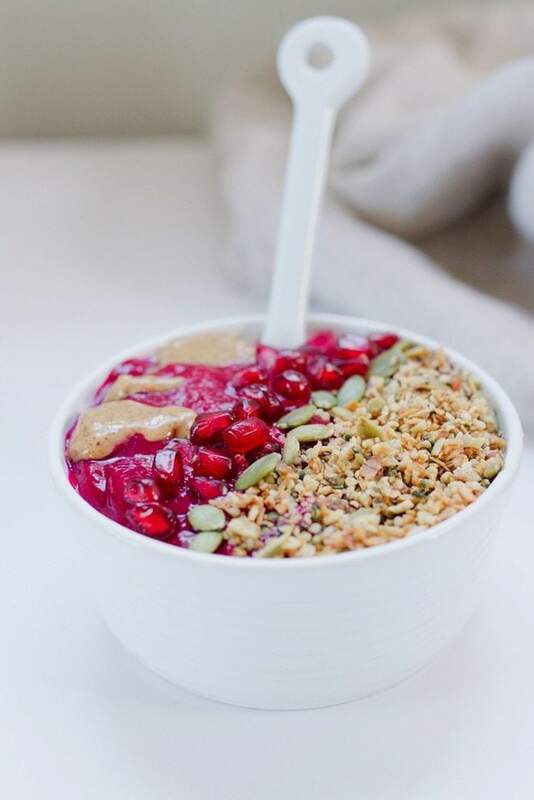 This fall pitaya smoothie bowl makes for a healthy and tasty breakfast. One bowl has over 20 grams of fiber! While in Aruba a couple weeks ago Isaac and I found this little smoothie shop that had pitaya and acai bowls. It was kind of a long walk from our resort but I convinced Isaac to go with me at least three times because the pitaya bowls were so good! They were huge, covered in granola with tons of fresh fruit and shredded coconut. Here’s a visual. Literally every time we got one and were walking back to our resort with it multiple people would stop and stare or make a comment about how pretty our breakfast looked. It was pretty cool. When we got home I was still in island mode and had a hankering for another pitaya bowl but wanted to do something fun to make it fall-inspired. The easiest way to make something fall themed? Add pumpkin. Am I right? I just so happened to have some leftover canned pumpkin in the fridge so I started experimenting. 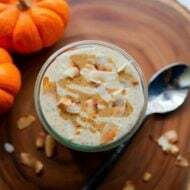 I used the pumpkin as my “liquid” and added a frozen banana for extra texture and sweetness. I also added a pinch of pumpkin pie spice just to give the bowl that pumpkin pie flavor. 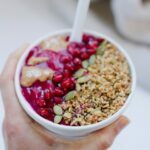 The combo worked beautifully and created a thick and creamy base for my smoothie bowl. To keep with the fall theme I topped the bowl with a little grain-free granola, pomegranate arils, pumpkin seeds and almond butter. Quite possibly the prettiest and tastiest pitaya bowl I’ve ever made! And it’s so flavorful. I love the addition of pumpkin to the smoothie portion of the bowl and how festive all the toppings look. 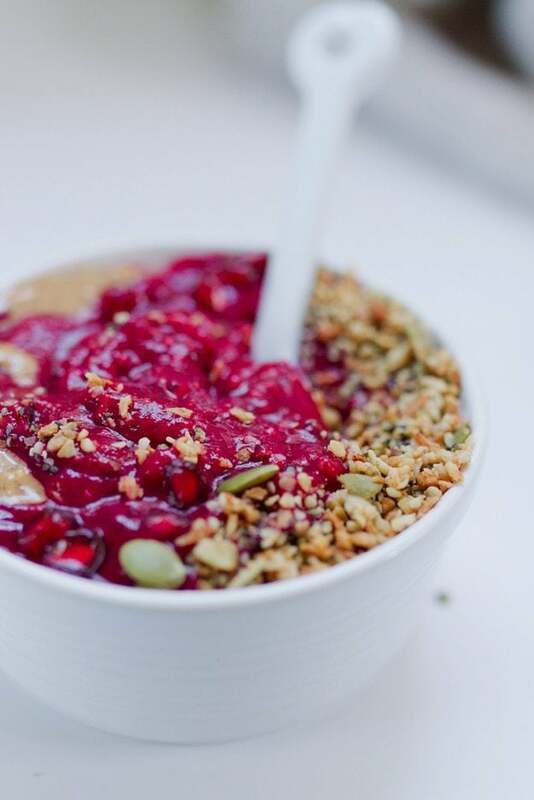 The juicy pomegranate arils and granola are a crunch lovers dream, while the almond butter drizzle adds a hint of richness and some additional healthy fats. 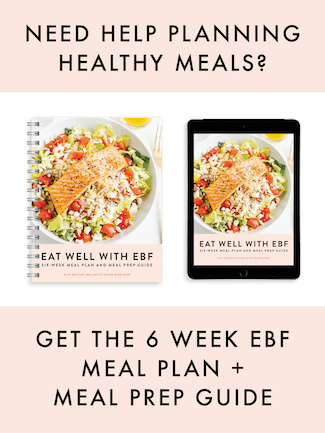 Plus, everything is better with almond butter… right? Ready to take your pitaya bowl into the fall season? Try this combo. I promise you won’t regret it. 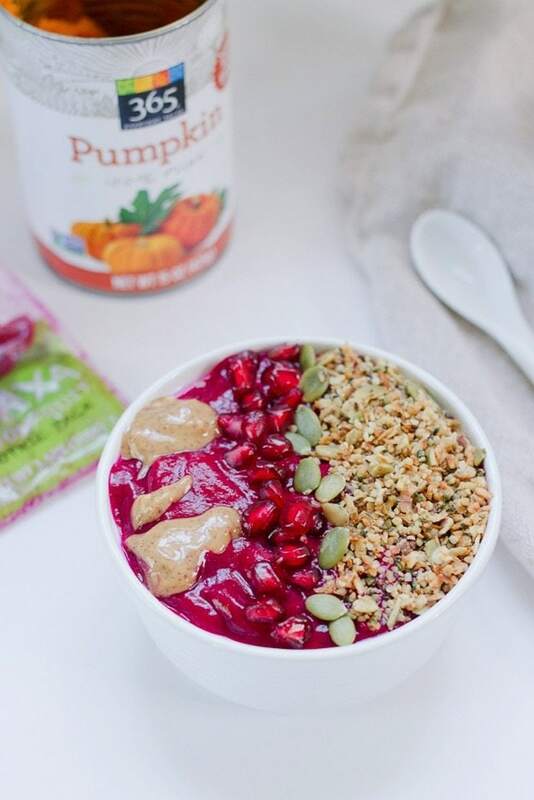 A fall inspired pitaya smoothie bowl with pumpkin, pomegranate, pepitas and granola. A tasty breakfast loaded with nutrients — one bowl has over 20 grams of fiber! 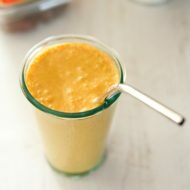 Place pitaya smoothie pack, frozen banana chunks and canned pumpkin into a high powered blender and blend until smooth. The mixture should be thick! 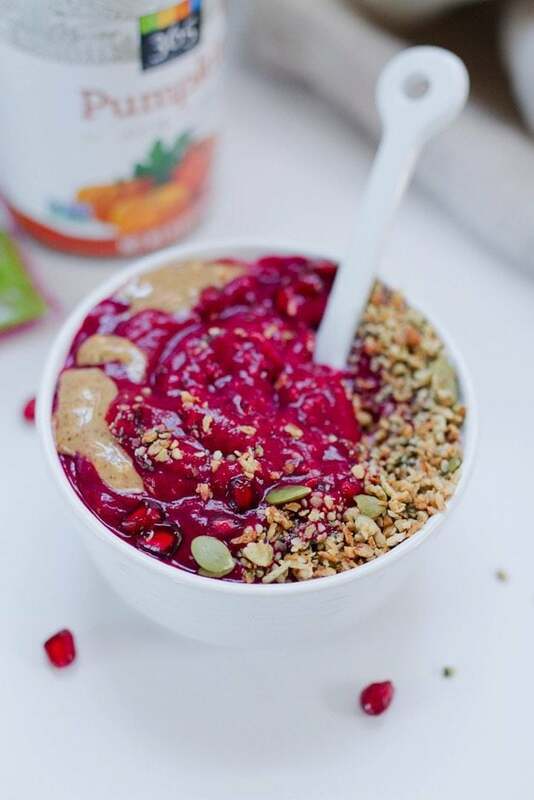 Pour/spoon the mixture into a bowl, top with pomegranate arils, pepitas, granola and almond butter and enjoy! Keep in mind that the nutritional info will vary based on your toppings. Definitely making this! Looks and sounds so good! Such a beautiful bowl meal! Looks beautiful!! Such a pretty colour! This is beautiful! What a great way to re-live your vacation too! 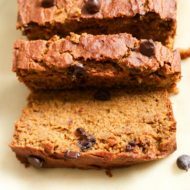 I am so digging the pumpkin and pomegranate combo – perfection! Mmm this looks so yummy! This looks so yummy! I would never think to put pumpkin in pitaya!